The ancient lineage had an interesting species among the amphibians that has evolved over 190 years and is now popularly known as the Olm. 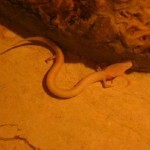 This snake like specie is an inhabitant of caves and subterranean waters and more interestingly, is blind. 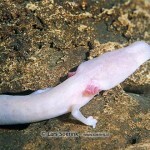 The adaptation of olm over all these years has inspired several researches and studies on outstanding organ functions of the sole surviving cave living European chordate. Olms can live for long hours without any frequent food intake. This species signify Slovenian culture and heritage. Infact they were used as a symbol in the tolar coins several years ago. In the old Venetian stone fountain, there are symbols of two snakes with wings that resembles the olm of the Karst. They actually belonged to the category of ancient amphibians that developed over 190 million years. They are inhabitants of the dark world. 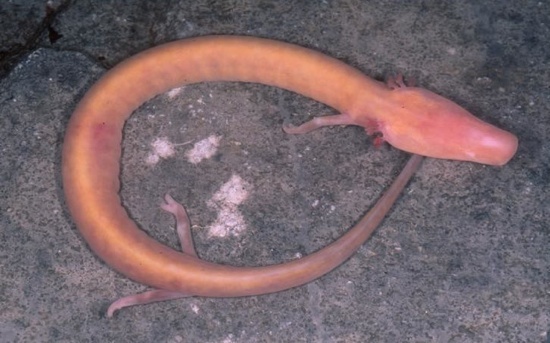 These are blind snake like amphibians and are found in the profound underwater caves in subterranean regions like Dinar karsts. Infact this particular species are of interest to scientists. They have an astonishing capacity to smell and hear. It is one of the recognized species of Proteus. These species are mostly occurring in parts of the southern Croatia, certain parts of Herzegovina and Bosnia. Among these species, the male and female look almost identical. They can be identified only with their size and cloacae. The males are somewhat smaller than females and have a thicker opening. 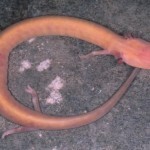 Size of Olm: The length of this slandering snake like creature is 20-30 m. In some exceptional case, they might reach up to 40 cm. 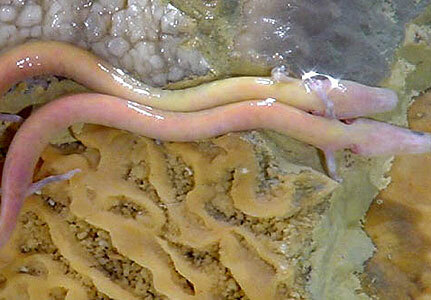 Color of Olm: The external portion of this creature is either pink or yellowish white in color. The abdominal portion is so translucent that even the internal organs are pristinely visible. However, it gets tanned when the skin is exposed to light. Head of Olm: The head of Olm has a pear like appearance with a snout. It also has small teeth within its mouth. The teeth acts like a screen to hold large particles of food. Eyes of Olm: These specie lack good vision. Their eyes are blinded by a fine layer of skin. 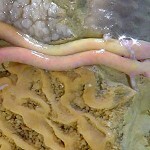 Gills of Olm: On the either side of the head, they have 3 pink colored gills and they usually breathe through these gills. They also possess respiratory lungs but of no productive use. Limbs of Olm: It has small and thin limbs with three fingers on the front and two at the back of legs. 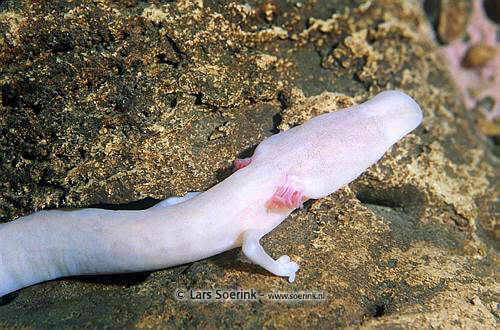 Tail of Olm: The tails are short and flat encompassed with fins. Olm always like to stay in the areas of Karsts formations. The Karsts areas generally include dolomite and limestone rocks. These species can withstand a water temperature of about 6 to 12 degree Celsius. The black ones always prefer to survive in the warm water surface. 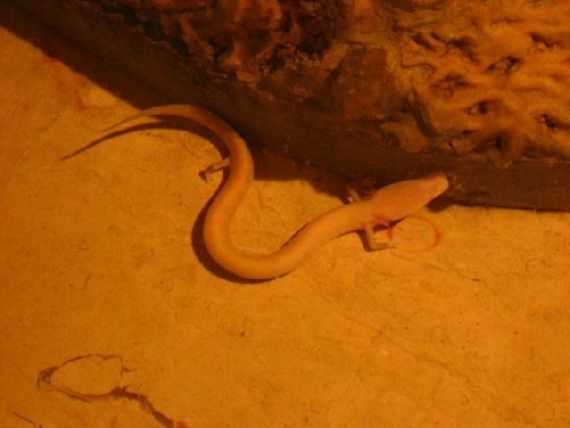 These amphibians hide in caves in the event of heavy rainfall. These species are carnivorous by nature and mainly feed on snails, small crabs, and insects. They simply swallow the food without chewing. It can survive for long hours without food because of their ability to preserve large amount of food in the liver as glycogen and lipid. These amphibians always intend to form identical groups; the only exceptions being sexually strong men. It is an interesting fact that Olms are blind. Their eyes are covered with a thin layer of the skin. Hence we can only imagine how difficult their lives must be. However their survival is ensured through their highly advanced sense organs that help them adapt to adverse conditions. The inner ear of olms is made up of epithelia that help in recognition of sound vibes coming from water bodies or the ground. In a recent study it was disclosed that they have an outstanding ability to sense the magnetic field of the earth. This sensory organ in the head helps them to realize the electric fields generated by sharks. The Olms are not confined to a particular breeding period. They can mate at any time. During the breeding period, the males retaliate and fight amongst themselves in order to fortify their territories. They also produce a secretion called pheromone to attract females. When a female enters his territory, the male tries to attract her by biting her tail with his flanks. The female also uses her snout to touch his cloacae. Once the process of mating begins, the male injects spermatophores into the cloacae of the female. This is done several times during the day. The females usually lay 70 eggs within rocks and stones and always try to safeguard them until they hatch. The tadpoles that come out of the egg are about 2 cm long. They take 4 months to become adults but become sexually mature by 7-14 years. Olm has an average lifespan of 58 years. According to the report of IUCN, their lives are in deep trouble. Their existence is constantly threatened due to water pollution. In order to save this rare species it is desired to avoid throwing unwanted waste and toxic materials in water.